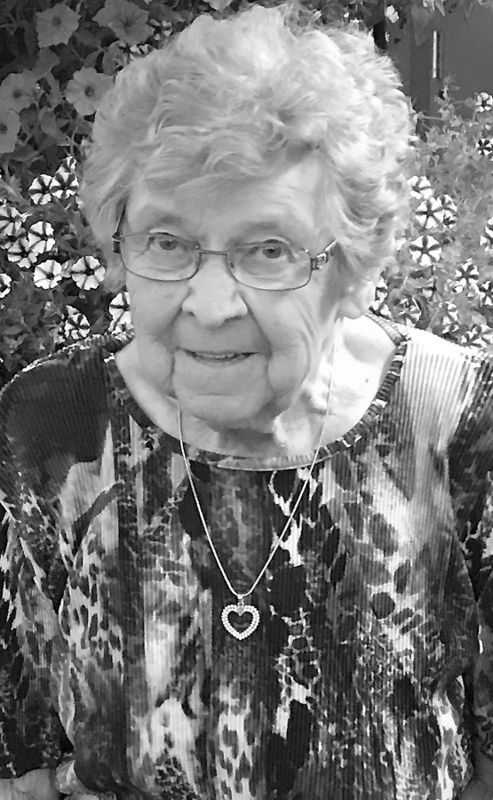 Mrs. Angela “Angie” Randa of Lethbridge, beloved wife of Mr. William Randa, passed away at St. Michael’s Palliative Care Centre on Wednesday, April 3, 2019 at the age of 86 years. Angie was born in Barnwell to Valentine and Maria Vaclav in April 11, 1932 and attended school in Barnwell and Coalhurst. She worked at Marquis Bakery and lived with her best friend Albina, before marrying Bill on November 22, 1961 and had a double wedding with Frank Vaclav and Albina Randa. Her greatest love was cooking and baking for her family and friends. Bill and Angie farmed near Park Lake and Angie always planted and grew a huge garden, only to can, freeze and give to all of her neighbors and friends. She loved to craft “Stumpkins” and make special occasions “very special” for everyone. Angie loved curling, she loved to play in her younger years and later in life watched on TV every game and tournament, which she would call from the couch with her best friend and soulmate Bill. Besides her loving husband Bill, Angie is survived by her daughter Shelley Thom; son Gary (Suzanne Tivadar-Althen) Randa; grandchildren Abby Randa, Gracie Randa and Adam Thom. Angie was predeceased by her parents Valentine and Maria Vaclav; brother Frank Vaclav; son-in-law Gerard Thom, her second son who passed away on June 27, 2017 from ALS. The loss of Gerard was devastating for Angie and she never recovered from the loss. Her happiest thought through her five week cancer journey was that she would soon see Gerard, hug him and share all the love from everyone still here on earth. A Vigil Rites (Prayer Service) will be held at 6:00pm on Sunday, April 7, 2019 at MARTIN BROTHERS RIVERVIEW CHAPEL, 610 – 4 Street South, Lethbridge, Alberta. Led by Deacon Cliff Bogdan. A Funeral Mass will be celebrated at 10:00am on Monday, April 8, 2019 at OUR LADY OF THE ASSUMPTION CATHOLIC CHURCH, 2405 – 12 Avenue South, Lethbridge, Alberta, with Father Kevin Tumback, celebrant. Interment will follow in the Mountain View Cemetery. For those who wish, memorial donations in Angie’s name may be made to the Canadian Cancer Society, or to the ALS Society in memory of her son-in-law Gerard Thom.